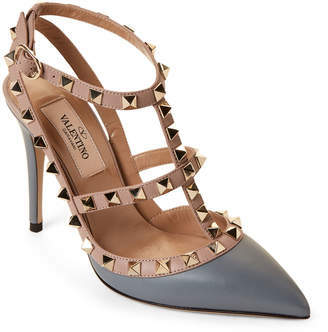 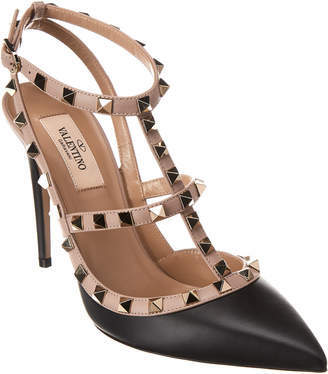 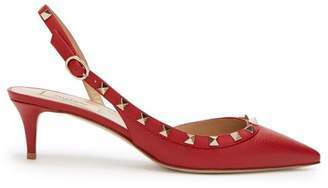 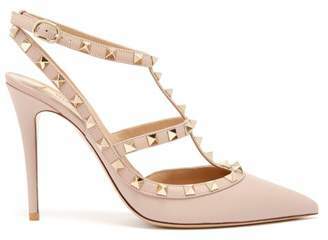 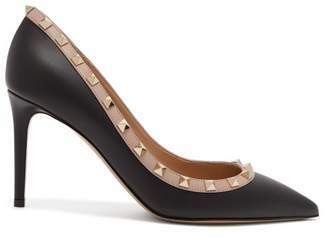 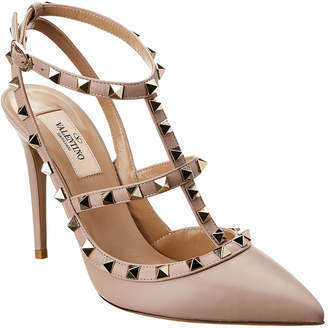 Valentino - The signature Rockstuds that punctuate these navy leather pumps echo hardware on Roman Palazzo doors. 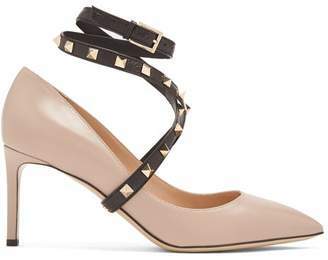 They’re Italian-crafted with a sharp point toe and neat kitten heel and secure with a rounded buckle on the narrow slingback strap. 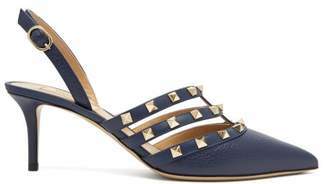 Style them with a coordinating navy printed dress for a polished appearance.